* Our professionals have years of cleaning experience, work with extremely high standards, and are happy to share their expertise with you pending any questions you may have for them. * Our company only buys the best industrial equipment to clean the space and ensure the best results. * As with our residential house cleaning we create a custom cleaning plan just for your space. You will know what will be cleaned when and can have any questions ready or any needed ready us (only needed if you request we use your products or equipment). * Our professional employees undergo extensive training in all areas of cleaning to ensure they have an adequate skill set for your cleaning needs. Our cleaning service can be extremely useful for property management companies. 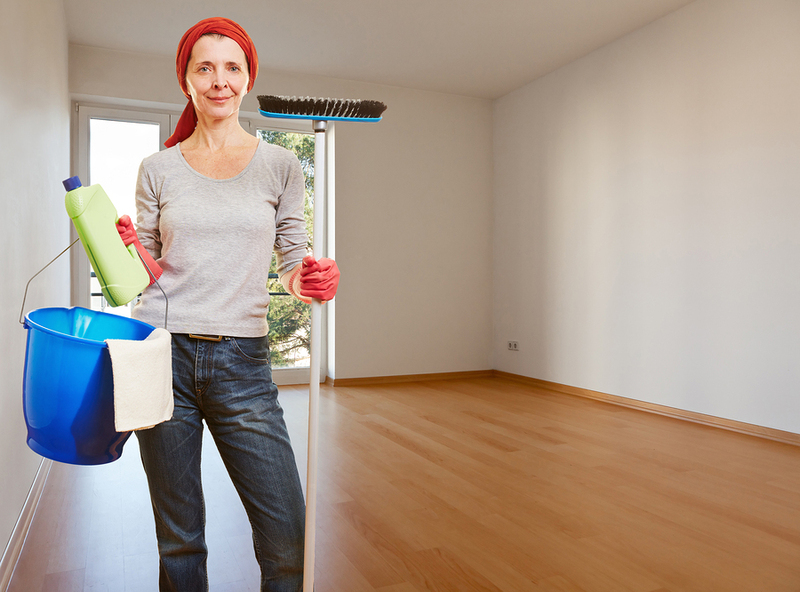 A contract can be negotiated for cleaning apartments or condos while they are between tenants. This way the property management company offers the incentive of a guaranteed clean apartment for tenants to move into, and further, the previous tenants are relieved of the stress of having to clean their apartment in addition to moving all of their things. Apartment and condo cleaning services are also available on a weekly biweekly and monthly or special circumstance contract basis. Yearly basis is are not available for the service. The first appointment will be a deep cleaning to ensure the apartment or condo is completely clean and clear of all debris that may have built up on the floor, counters, appliances, or any other surface. Our services after the initial appointment includes: Cleaning and waxing of all hard floors, vacuuming, dishwashing, dusting, straightening up, and organization services. Maintaing cleanliness in all public areas of the building and its surroundings is vital to attract tenants, and keep them paying rent. Clean public areas inspire a more respectful mindset and will inspire a more friendly community. A contract can incorporate cleaning of the exterior of the building and sidewalks, and all common areas such as the lobby, any public patios or other outdoor areas such as rooftop communal areas, workout or fitness rooms, pools, activity or game rooms and lounges. Large apartment buildings often also hold a leasing office, which we can include in our regular scheduled cleanings. Any attached or affiliated parking garages should also be included in the regular cleanings, as they are often neglected and forgotten areas where things such as fast food waste build up under and around vehicles, attracting unwanted animals. An infestation of rodents can jeopardize the safety of an entire building. We provide property maintenance as one of our other services. We provide move in and move out services and also pre and post renovation services for entire apartment complexes and condo complexes. All services come with a pre-screening appointment to determine everything needed for the service requested.